Spied some images from Dior Couture on Hanneli’s blog and couldn’t keep them to myself. Lensed by Patrick Demarchelier, Dior Couture is a collection of portraits from Dior Haute Couture collections spanning from 1948 to 2008. Left: Sasha Pivovarova. Right: Jac Jagaciak. Photographs by Patrick Demarchelier. Photographed by Giampaolo Sgura and styled by Anna Dello Russo. 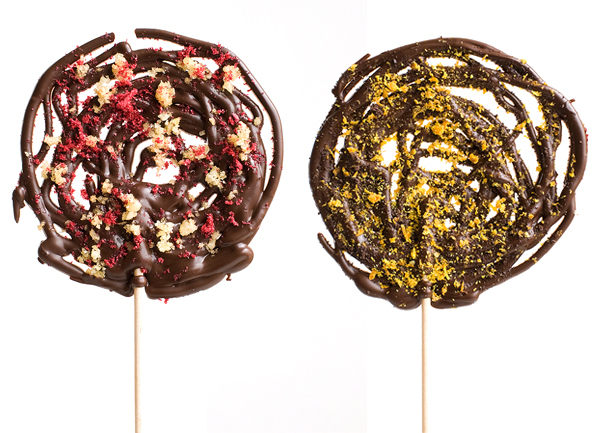 The food photography gets me every time and on Matt’s portfolio site, I’m in heaven. 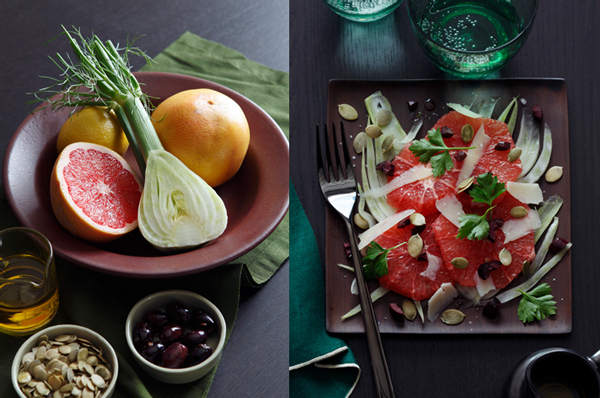 Photo of Fennel and Citrus Salad by Matt Armendariz from his portfolio. Can’t get enough of Lakshmi. This editorial is from Vogue India May 2009 and was shot by Jean FranÃ§ois Campos. This is really making me want summer to start now. 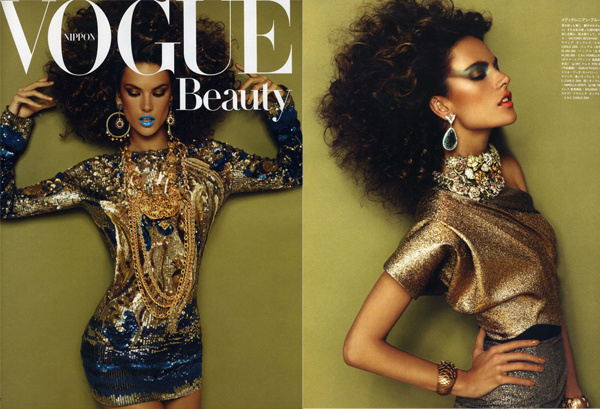 Selects from Vogue India, May 2009. Saw photos from this shoot styled by Jane Roarty at Black*Eiffel and thought I’d share. Amazing weather for this weekend in New York. Happy Weekend! From the portfolio of stylist Jane Roarty.